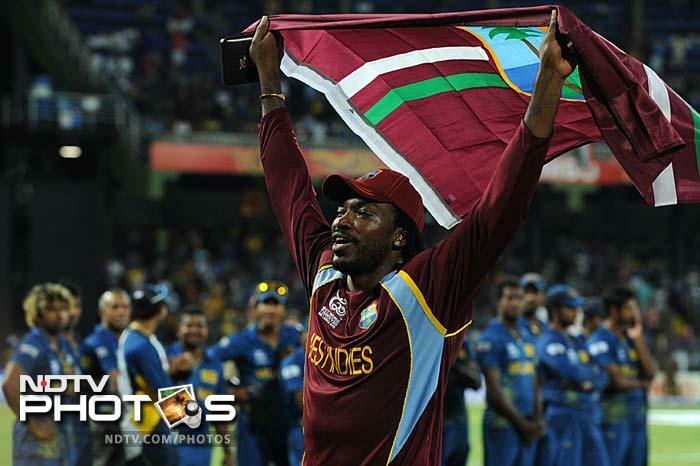 Leading from the front was their skipper -Darren Sammy. 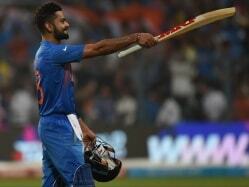 The all-rounder did the Gangnam like there was no tomorrow! Of course, speak of Gangnam and not to speak of Chris Gayle would be almost akin to blasphemy. 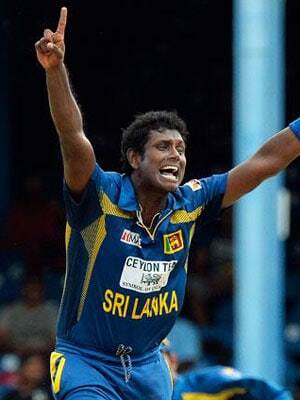 Sammy after the final Sri Lankan wicket fell. 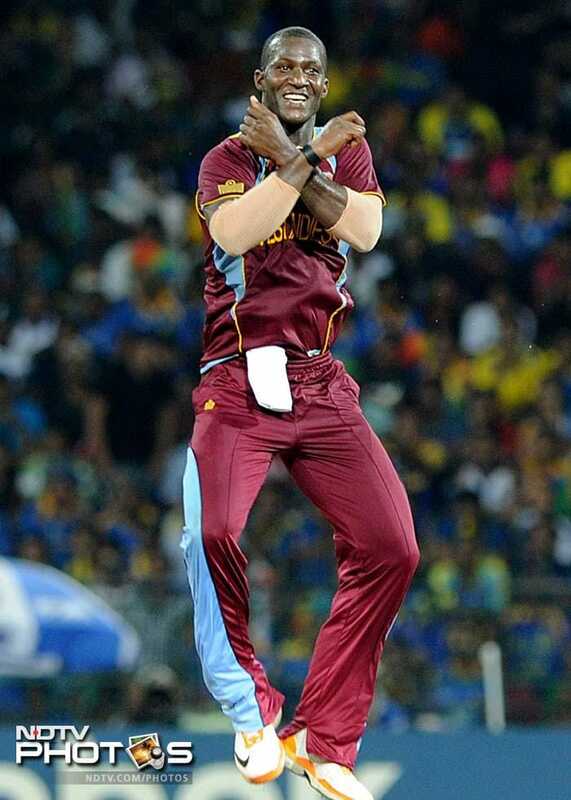 He later dedicated the win to West Indies' fans. 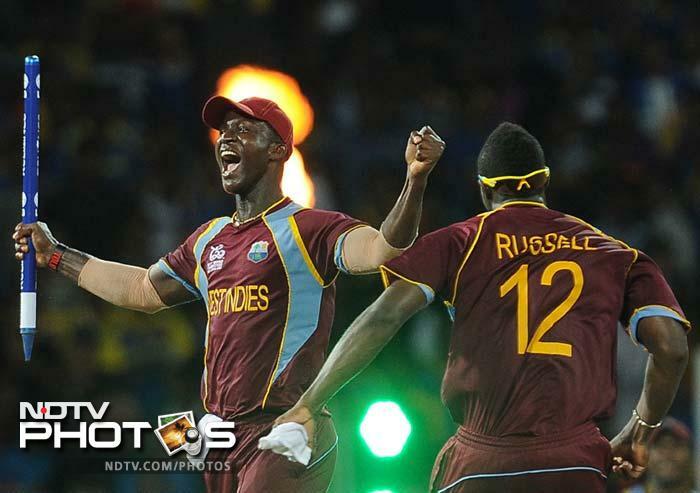 The entire West Indies contingent rushes out to party! Gayle takes a round of the stadium. 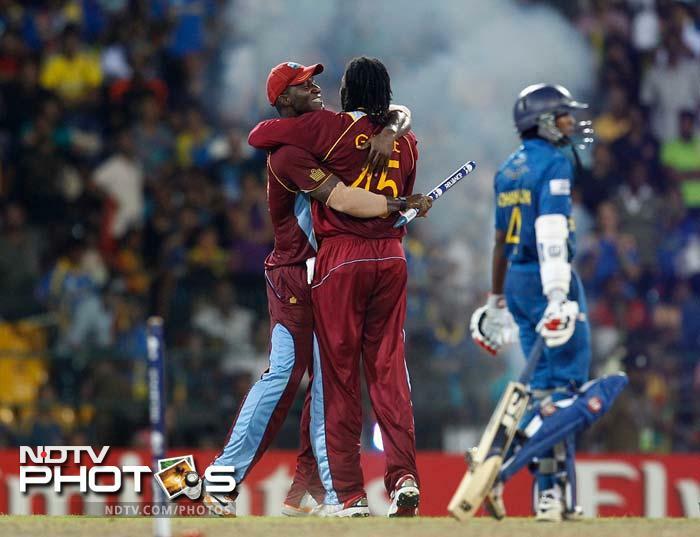 Chris Gayle and Darren Sammy embrace each other after the win.